Nice candlestick charts of the Bitcoin price on various exchanges. 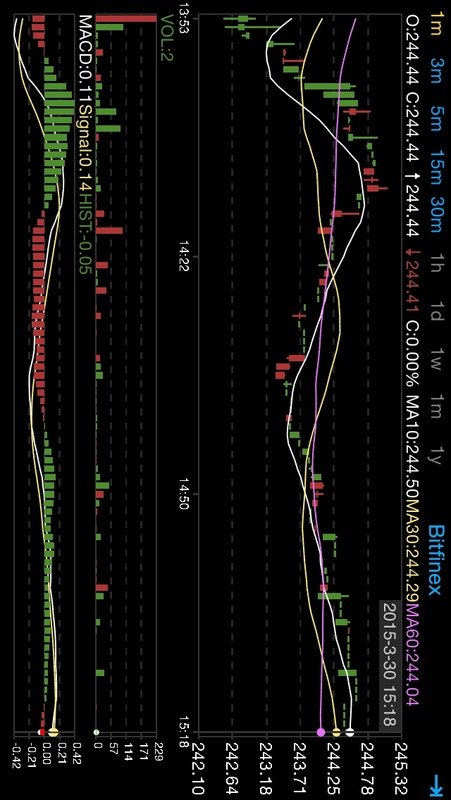 Really nice app if you don't want to miss a price move when you are away from your computer. All datas are live from the exchanges ! Some echanges don't provide OHLC datas and it must be generated. The process of fetching non OHLC datas can take a moment, specially for a longer timeframe. 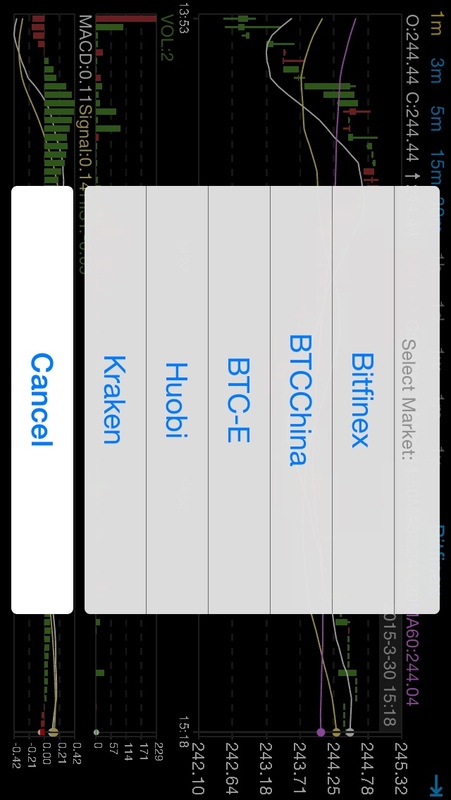 More exchanges will be added, if you have some request, just ask me.